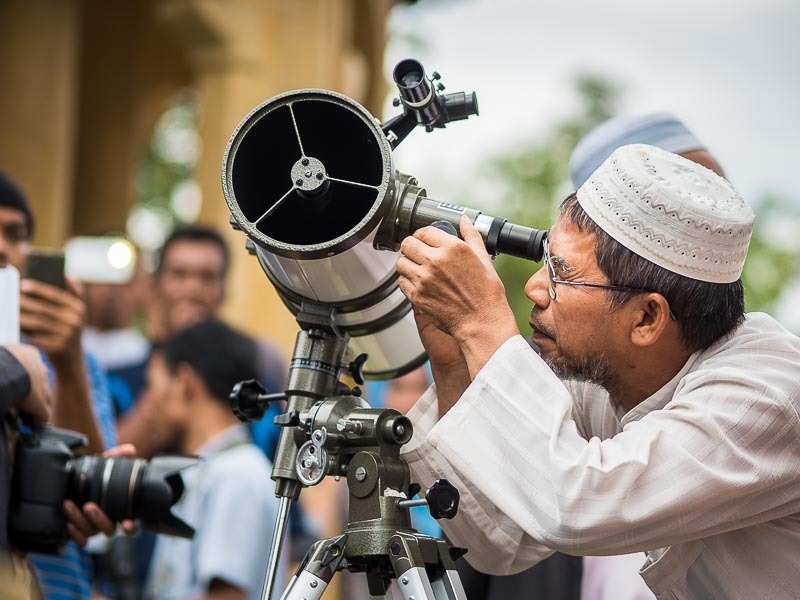 An Imam aims a telescope used to spot the crescent moon to mark the official start of Ramadan. 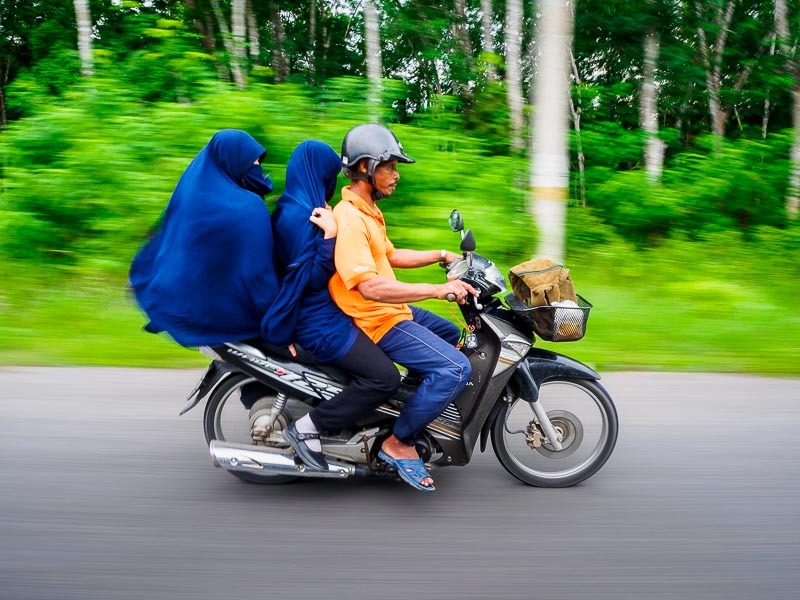 Ramadan is the ninth month of the Islamic calendar. It is observed by Muslims worldwide as a month of fasting to commemorate the first revelation of the Quran to Muhammad. This annual observance is regarded as one of the Five Pillars of Islam. The start of Ramadan is based on the sighting of the crescent moon and varies by a day or so around the world. If clouds obscure the sky and the moon not seen then it starts the next day. 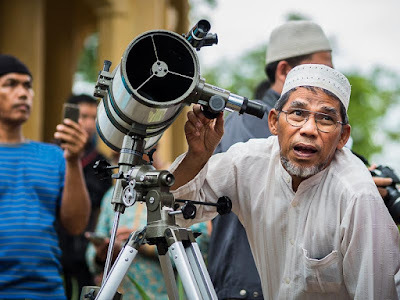 Sighting the crescent moon is called "hilal" and while it's not a holy day in itself, it is a day of community gathering and sighting the moon is a community event. 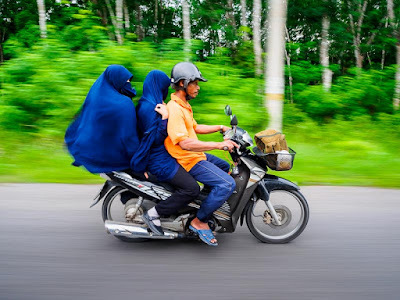 Women on a motorcycle head for the mountain in Yaha district of Yala province, where people gathered to spot the moon. Men look for the moon in Yaha. In southern Thailand, the start of Ramadan is determined by the moon's visibility from a mountaintop in Yaha, a small town in Yala province. I thought the chances of seeing the moon were pretty small when we got to the mountaintop. It was cloudy and rainy - at one point a squall blew threw and most people took shelter out of the rain. 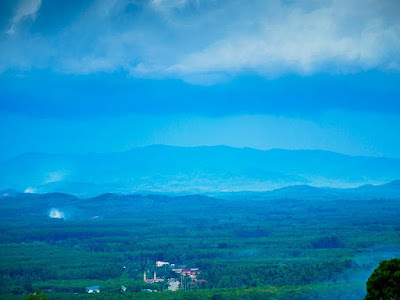 The scene that greeted people looking for the moon in Yaha. 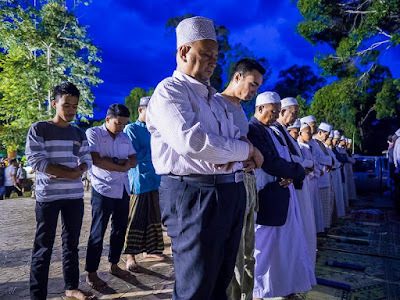 But people persevered and after the rain blew through out the clouds parted slightly and it was announced that the moon had been sighted and that the next day (Thursday) would be the first day of Ramadan fasting. After the moon was sighted a group of men went to one side of the mountaintop and prayed. There are more photos of people sighting the crescent moon in my archive.